WHAT is Monitored Anesthesia Care (MAC)? With regards to the collaborative partnerships of Community Anesthesia Professionals, Monitored Anesthesia Care (MAC) is a specific anesthesia service used to support diagnostic and therapeutic endoscopic procedures. During the procedure, a board-certified anesthesiologist and/or certified registered nurse anesthetist (CRNA) is responsible for conducting a health assessment of the patient to determine the appropriate type of drug to be used, administering the sedative and monitoring vital functions. The MAC team works in concert with the endoscopist, allowing that physician or surgeon to solely focus on the examination. WHY Monitored Anesthesia Care (MAC) in collaboration with endoscopic procedures? The collaboration between anesthesia providers, gastroenterologists and colon rectal surgeons has proven to provide a high quality and safe environment for procedures with exceptional patient satisfaction. As a result, MAC is quickly becoming the standard of care for endoscopy procedures across the nation. The most common endoscopic procedures with MAC services include: Colonoscopy, Upper Endscopy (EGD) and Flexible Sigmoidoscopy. Patient Comfort and Satisfaction MAC is known to provide the greatest comfort to the patient during an endoscopic procedure and is especially helpful for patients who have great anxiety or who may have experienced difficult procedures in the past. The improved sedative effect reduces a patient’s anxiety, pain and discomfort, consequently improving their tolerability and satisfaction for the procedure itself. Specifically, colonoscopies are regarded by many as an invasive experience and generally assumed to be an uncomfortable or even painful procedure. MAC helps the patient to reach a satisfactory level of relaxation and cooperation. In addition, a patient is more likely to repeat such a necessary procedure when or if it is needed again in the future. Faster Patient Recovery The sedatives used in MAC are known to wear off very quickly, providing a shorter recovery time and decreased nausea. The sedative wears off quickly and there are fewer lingering effects after the procedure has been completed. Because the patient recovers more easily and is more alert during the physician’s post-procedure visit, there is a better understanding and increased compliance with any post-procedure instructions. Increased Patient Safety Having an anesthesia professional singularly focused on your cardiopulmonary status provides the greatest level of patient safety. MAC also minimizes risk of physical injury during an examination because the patient is not moving and shifting during the procedure. Quality & Endoscopic Expertise The MAC professionals are highly knowledgeable about endoscopic procedures and are able to more closely monitor your care because of it. They know what the gastroenterologists and surgeons are doing and how they do it. MAC allows the physician or surgeon to concentrate specifically on the procedure itself and the diagnostic outcomes; providing the endoscopist with an ideal environment for a thorough examination that culminates in higher completion and detection rates and removal of advanced adenomas. Patient Choice and Cost of Care With MAC there is increased choice for where patients can have their endoscopic procedures completed. A number of factors affect the cost of a procedure, but those costs are often much higher when performed in a hospital facility rather than an outpatient endoscopy center. In addition, there are several health situations that have previously forced patients to have their endoscopic procedures completed in a hospital. Those health-status situations include but are not limited to patients who: are 70 years of age or older, are on supplemental oxygen, have sleep apnea, are overweight with a BMI =40 and =<45, and/or who are on a variety of medications. With MAC, those patients can now have their procedure done in an outpatient endoscopy center. A Standard of Excellence and Care MAC is quickly becoming the standard of care for endoscopy procedures across the nation. After participating in many quality programs with multiple parties reviewing the outcomes, it is clear that having an anesthesia professional singularly focused on the administration and monitoring of anesthesia care has improved the experience and outcomes for patients and the physician that is performing the procedure. Feedback from our own providers and patients also confirms the preference for Monitored Anesthesia Care (MAC). The sedation used during your procedure is administered and/or monitored by a board-certified Anesthesiologist or Certified Registered Nurse Anesthetist (CRNA). The type of sedation used will be best suited to keeping you comfortable and safe, and mutually agreed upon between the anesthesia provider and the endoscopist. Propofol is the sedation medication most commonly used in our procedures. 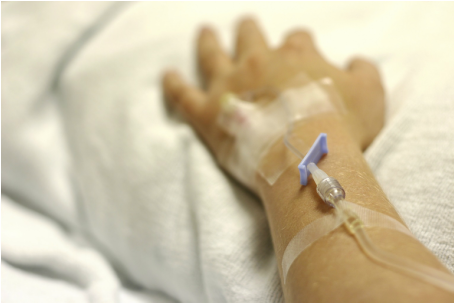 The sedative is given as an injection through a needle which has already been placed into a vein (an IV). You will relax and fall asleep very quickly (within seconds) after the injection. Your breathing, blood pressure, oxygen levels and other vital signs will be watched closely. Finally, you will wake feeling alert and not worn out or groggy. Because of its rapid onset of action and fast recovery time, Propofol is also widely used for sedation of children. Going to the hospital for an endoscopic procedure is scary for anyone, but if you are a child that doesn't feel well it can be so much worse. Now pediatric patients can have that same procedure with Monitored Anesthesia Care (MAC) in the setting of an outpatient endoscopy center. Community Anesthesia Professionals is unique because of its additional focus and expertise of providing MAC for younger patients and the collaborations that make it possible to care for patients outside of a hospital surgery room. If you are responsible for making decisions regarding a young patient's care, please know that endoscopic procedures with MAC are available at Minnesota Endoscopy Center* for patients 10 years of age and older.